Shear force diagram is the most important first step toward design calculations of structural or machine elements. 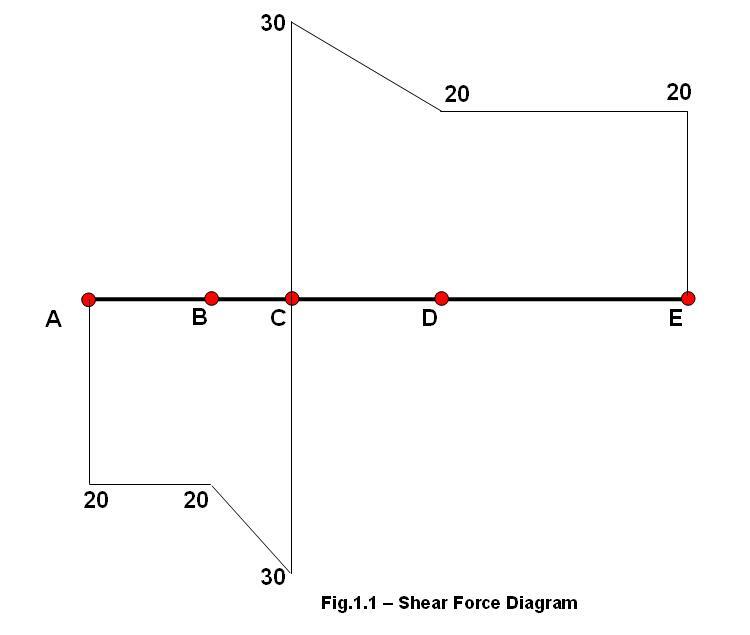 This article will discuss the steps for drawing shear force diagram. A design engineer today is much more equipped than she was ever before. She has CAE packages, she has CAD packages, she may have tolerances packages and may be many more. But in order to cross check the output of these packages design engineer should never forget the basics like shear force diagram, bending moment diagram and free body diagram. – At the reaction locations. So, Rc will be acting upward where as Re will be acting downward in our case. 5. See what kinds of load acting on the next point. 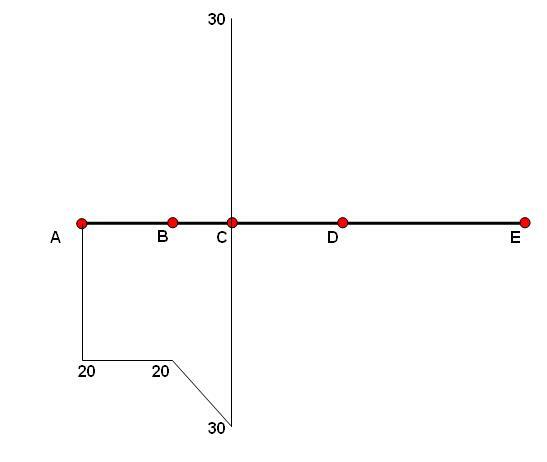 If it is point load then vertical line from the end point of the already drawn SFD. If UDL is acting up to the next point, then there will be a inclined line. 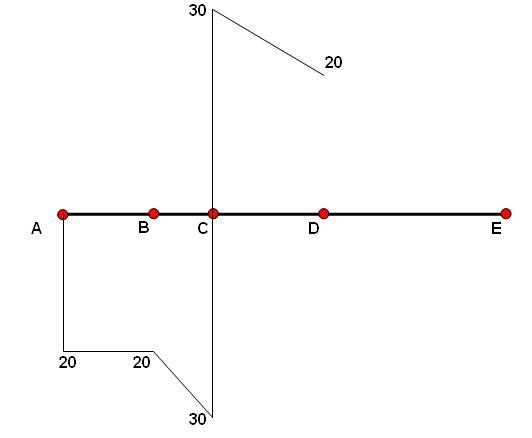 And the slope of the inclination can be calculated as : Force per unit length x Distance. Drawing correct shear force diagram is very important for a mechanical design engineer. At the location of point load, SFD will go vertically upward or downward depending upon the load direction. In case of UDL acting between two points, shear force diagram line will be inclined and slope can be calculated by multiplying force per unit length with the length between the two points. AMAZING!!!!!!!!!! I UNDERSTAND, THANK YOU THANK YOU THANK YOU! plz send me detail calculation method of shear force diagram. my mail id is rizwankhan_eng@yahoo.com. what are the 3 equations in part 2? MOTHER OF GOD. Thanks a million, I’m finally getting this stuff! well explained thanks……. but i could not understood how Rc = 60 kN .. ??? This blog is the best I´ve seen so far. Went through the shear examples of bolt in embedded concrete for ACI 318 and, although I´m using AS 3600, it helped me heaps. Many thxs for that.